The Twin was Fender's original two 12-inch speaker tube amp launched in 1952. 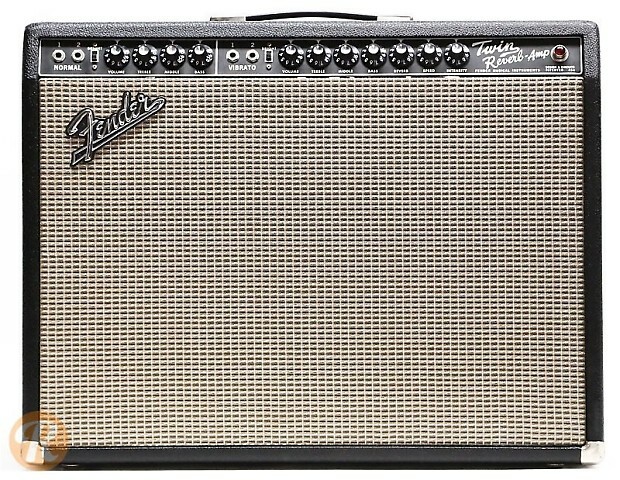 The original Twin was supplanted by the Twin Reverb in 1963 which has since earned a place as one of Fender's most iconic amps. Starting in the late '60s, the Twin Reverb switched from Blackface to a Silverface style cabinet. The Silverface editions are less desirable.